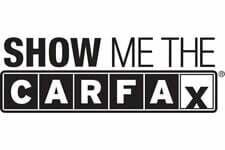 CREDIT HELP HERE!..2-OWNER CLEAN CARFAX....SOUTHERN CERTIFIED! ONLY 49,000 ACTUAL MILES....AND ROOM FOR THE WHOLE CREW! HURRY IN OR CALL 615-859-9400 TODAY BEFORE SOMEONE GETS YOUR 2017 BUICK ENCLAVE WITH LEATHER AND A SOUTHERN CERTIFIED NO RUST PEDIGREE!